Getting started with Android development begins right here. Learn about what you'll be making in this course. 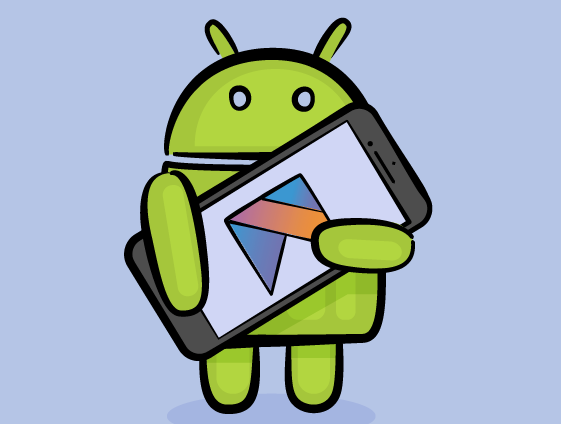 To get started with Android development, you'll need to download Android Studio. This video will walk you through installing it. With Android Studio up and running, you'll need to register as a Google developer. This video shows you the steps. 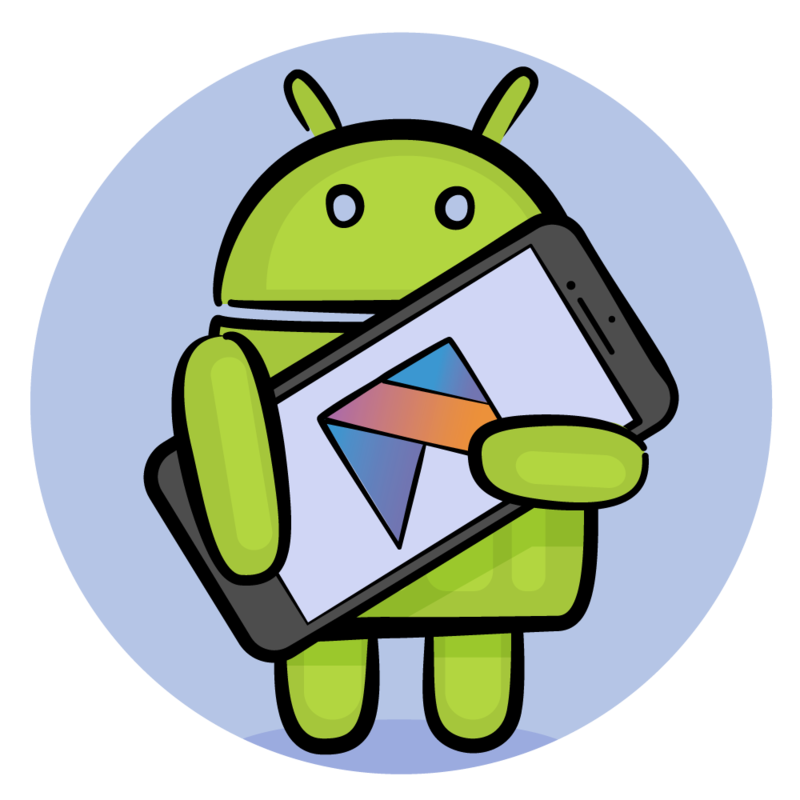 With Android Studio installed and you registered as an Android developer, you'll get started by creating your first project. This video will show the process of building your app and running it on a virtual device. Learn about the various components that make up an Android project. Before starting out on any programming task, it's good to have a roadmap. Your challenge is to create one. Here you'll review everything that you've learned and get a glimpse of what you'll do next. A good place to start with your game is in the user interface. This introduction will give you a brief glimpse at what you'll be doing. In this video, you'll start out building your UI by adding a TextView. In your first challenge of the section, you'll add another TextView to your game. Placing items isn't enough. You also have to position them. You'll do this by learning about rules. Now that you how to add rules, you'll add some rules of your own to the Tap Me button. Once you have a UI element place, you'll want to customize it. This video will show you how. To access UI elements, you'll need to add IDs. In your challenge, you'll be doing this. In Android, you should avoid adding text directly and instead use string resources. In this video, you'll learn what that means. Now that you know how to work string resources, it's time for you to add one of your own. This video concludes the discussion about creating your UI and prepares you for your next task: writing Kotlin. This video introduces a critical component in Android development: Activities. This video is a deep dive into the purpose of Activities, and you'll be introduced to your first Kotlin code. Every app comes with a manifest file and in this video, you'll learn why it's important. Learn about properties and how to add them to an activity. In your challenge, you'll add another property to your main activity. Object Oriented Programming is the basis of Kotlin. This will video provides a brief overview of the basis of OOP. If you want to react to events, you need to write some actions. This video will show you how. In your challenge, you'll need to update the score TextView to display 0. For your game to work, it requires a countdown timer. Learn what it is and how to use it. Every game must have a beginning and ending. In this video, you'll add both. At this point, you have a working game, or do you? We'll cover what's been done--and what's left to do. Bugs are a part of software development and in this section, you'll learn how to get rid of them. To get started with debugging, you'll be introduced to a common debugging technique: logging. This video covers the activity lifecycle and what actually happens to an activity when a device is rotated. Now that you have log statements in your code, your challenge is trigger all of them. While logging can help debug your app, breakpoints are where you can inspect your app while it is running. When you save the state of your app, you'll want to - at some point - restore it. This video will cover the process. With your app all debugged, all you need to do is make it look good and submit it to the app store. With your app working well, you just a few things left to do before publishing it to the Android app store. While the default colors are fine, to make your app really shine, you'll learn how to define your own. In this challenge, you'll define some new custom colors and apply them to existing controls. In this video, you'll add some animations to your interface to make it really shine. In your last challenge of the course, you'll add an animation to the score. Menus provide a way to add additional interactivty. In this video, you'll add one to your game. In this video, you'll learn about dialogs and how to use them in your game. Learn how to give your app a custom icon and a display name. With your game completed, there's only one thing to do: submit it to the app store. Congratulations! With your app completed and submitted, you've made it through the course. Great work!